SMOOTH, STRAIGHT HAIR IN HALF THE TIME For straight, smooth and frizz-free hair that you can achieve effortlessly, look no further than this STRAIGHT UP Ceramic Straightening Brush from InStyler. 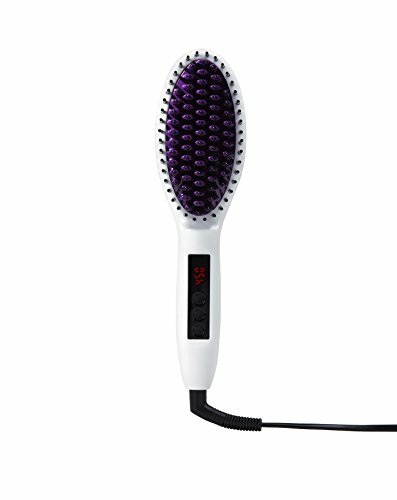 Ceramic heated plates surround each individual bristle that simultaneously sections and straightens as you glide it down your hair. 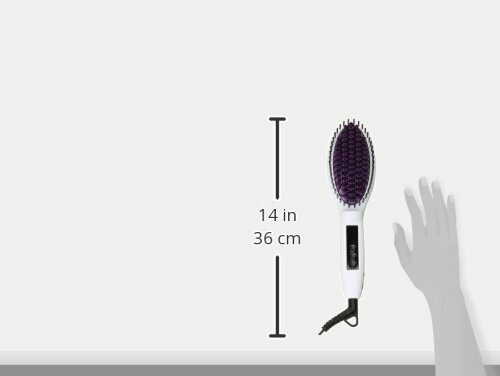 As soon as you turn it on, this heated styling brush gets powerful, instant heat that's evenly distributed across the surface to deliver straight, shiny hair all in one pass. GETS HOT. STAYS HOT. 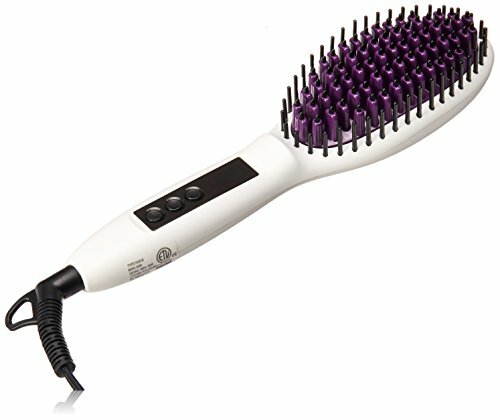 Most heated brushes lose heat as you brush, creating inconsistent styling results. STRAIGHT UP’s powerful 65 ceramic heated plates deliver consistent even temperature across the entire surface. Instant heat recovery gives superior results with less passes and faster styling. STRAIGHT UP’s 7 heat settings offer optimal results for any hair type. DAY 1 - AWESOME. DAY 2 - AWESOMER. On day 1, straighten and smooth your hair without flattening or creasing like a flat iron. Effortlessly straightens all hair types, including; long, short, thinning, thick, coarse, curly, straight, and frizzy. On day 2, start at the root with the cool touch ionic bristles that prevent the heated surface from actually touching your scalp, then simply brush away frizz to recreate a smooth, sleek look. STYLING TIPS & TRICKS For best results, place STRAIGHT UP close to the roots of a section of hair and hold the hair firmly with your free hand to create tension as you brush the length of the hair from roots to ends. To give your hair a more voluminous blowout style, brush your hair from underneath to give it a slight curl inwards at the end.